Westover Hills, located in Tarrant County, Texas, is home to 759 people and is a rural community. The median household income is $176,342. 80% of residents of Westover Hills are married and 19% are families with children. Half the residents in Westover Hills commute just 15 minutes or less to work, with 48% of residents holding white collar jobs and 52% residents holding blue collar jobs. The median age of homes is 31 years. In Westover Hills, 88% of homes are owned, 6% are rented, and 6% are not occupied. Last year, 7 Westover Hills properties were sold and the median sale price of a home was $942,839. As of the census of 2000, there were 658 people, 258 households, and 211 families residing in the town. The population density was 920.9 people per square mile (357.8/km²). There were 273 housing units at an average density of 382.1 per square mile (148.5/km²). The racial makeup of the town was 98.33% White, 0.76% Asian, and 0.91% from two or more races. Hispanic or Latino of any race were 1.52% of the population. There were 258 households out of which 26.4% had children under the age of 18 living with them, 79.1% were married couples living together, 1.9% had a female householder with no husband present, and 18.2% were non-families. 15.9% of all households were made up of individuals and 9.7% had someone living alone who was 65 years of age or older. The average household size was 2.55 and the average family size was 2.86. In the town the population was spread out with 24.0% under the age of 18, 2.0% from 18 to 24, 17.0% from 25 to 44, 35.4% from 45 to 64, and 21.6% who were 65 years of age or older. The median age was 51 years. For every 100 females there were 94.1 males. For every 100 females age 18 and over, there were 89.4 males. The median income for a household in the town was in excess $200,000, as is the median income for a family. Males had a median income of over $100,000 versus $45,417 for females. The per capita income for the town was $133,558. About 1.0% of families and 2.5% of the population were below the poverty line, including 3.8% of those under age 18 and 2.8% of those age 65 or over. 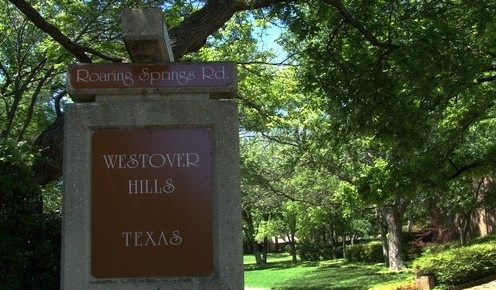 Westover Hills is in the Fort Worth Independent School District. Phillips was built in 1949. It was named after Mary Louise Phillips, the first female board member of FWISD. However, most families choose to send their children to private schools, typically Fort Worth Country Day School, but also All Saints' Episcopal School or Trinity Valley School, all three of which participate in the Southwestern Preparatory Conference. Updated Apr 21, 2019 11:57:am. Based on information from the North Texas Real Estate Information Systems, Inc. 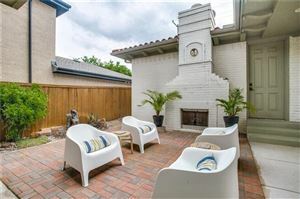 This information is provided for consumers' personal, non-commercial use and may not be used for any purpose other than to identify prospective properties consumers may be interested in purchasing.